These three paintings were shown at The North Point Gallery in San Francisco as part of an "exhibition of contemporary and past masters." 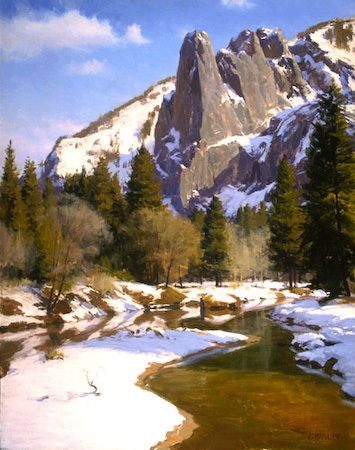 This exhibition has come about because of the rediscovery of two important paintings held in private collections since the nineteenth century—William Keith’s Sentinel Rock (1872), owned by four generations of a Bay Area family, and Thomas Hill’s Yosemite Valley (1886), sold from his Wawona studio to a Massachusetts family. 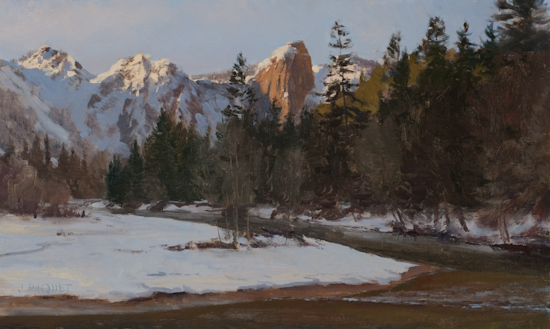 These works are available for purchase, as will be a selection of nineteenth- and early twentieth-century paintings by such artists as Charles Dormon Robinson, Jules Tavernier and L.P. Latimer. 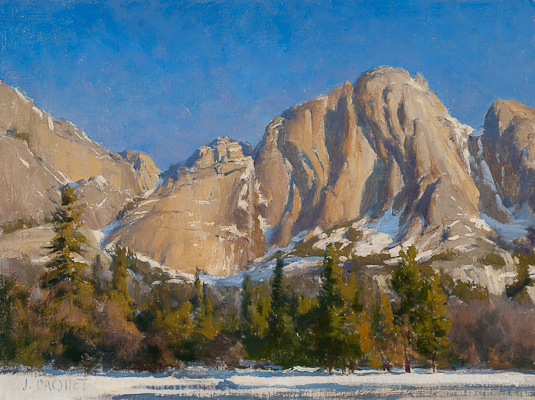 Among the available paintings will be several Yosemite views by living artists, including Michael Coleman, Gil Dellinger, John Cosby, Paul Kratter, Joseph McGurl, and Joseph Paquet. 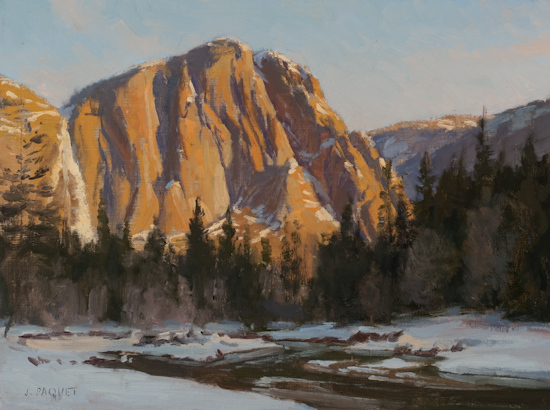 The exhibition will also feature not-for-sale paintings borrowed from various owners, including a rare Thomas Ayres drawing from the 1850s and a Bierstadt field study of Yosemite Falls. 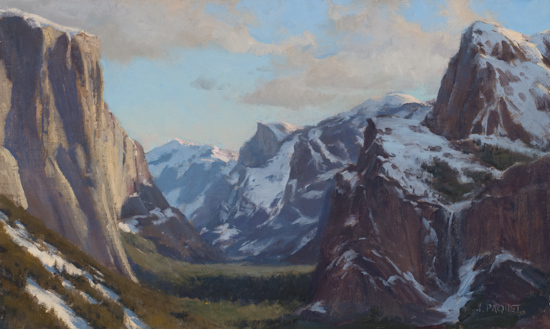 The exhibition will demonstrate how talented landscape painters of all periods and styles have found inspiration at Yosemite.